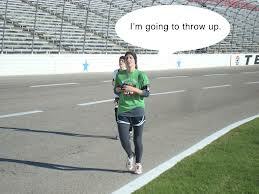 I’ve always felt something of an inferiority complex when it comes to marathon runners. The concept of running, for me, conjures up a tragic memory of the compulsory cross-country at high school, where I would haplessly convey my overweight thirteen year old self across endless lacrosse pitches and through the headmistresses garden, watching the fit athletic types disappear triumphantly over the horizon. However, it is with only a slight tinge of residual bitterness that I can now assess the relative pros and cons of marathon running. For many people, it is a tangible measure of achievement, representing a feat that only months of training and a substantial fuel of mental discipline can carry you through. Many people also run marathons for charity—and no one can fault that. However, it is a lesser known fact that the first person to ever run a marathon, the Athenian Phidippides, subsequently dropped dead; he probably forgot to have a protein shake. Furthermore, despite the notion of the super-fit marathon athlete, running a marathon is far from the best mode for weight loss. Running long distances can cause hormonal shifts that often lead to weight gain– which certainly doesn’t seem a fair pay-off after all that time and endurance. Then there’s the psychological side of it. Training for a marathon might be a great source of motivation whilst you’re doing it, working up to a goal day after day. But what about when you’re done? Fitness is something that many of us struggle with day to day, but ultimately that’s exactly what it necessarily has to be: a constant commitment. But those who, perhaps uncharacteristically, who commit to running a marathon are likely to give it up afterwards, having already proved themselves to everyone to be a motivated, athletic individual. They say that the slow, persevering tortoise wins the race, and often it is better to commit yourself to a lifestyle of fitness rather than an intense period of marathon-training followed by a loss of interest in exercise all together. Running that kind of distance can also put an undue strain on your body, which causes heart and kidney problems. Then there are the short term effects. A friend I spoke to, having completed a marathon, finished with bleeding feet and an inability to walk for four days. Despite the adrenaline rush, she couldn’t even go out and celebrate her achievement. This is not to say I have any criticisms regarding exercise at all. I absolutely admire athletic types, from those superhumans who arise at 6am for rowing training to those who slog away at the gym for hours on end. Maintaining a healthy weight and fitness level is a great aim, and if it’s enjoyable, that’s fabulous. But I would suggest that marathons are not the best way to go about this. Personally, I’ll stick to a brisk walk.